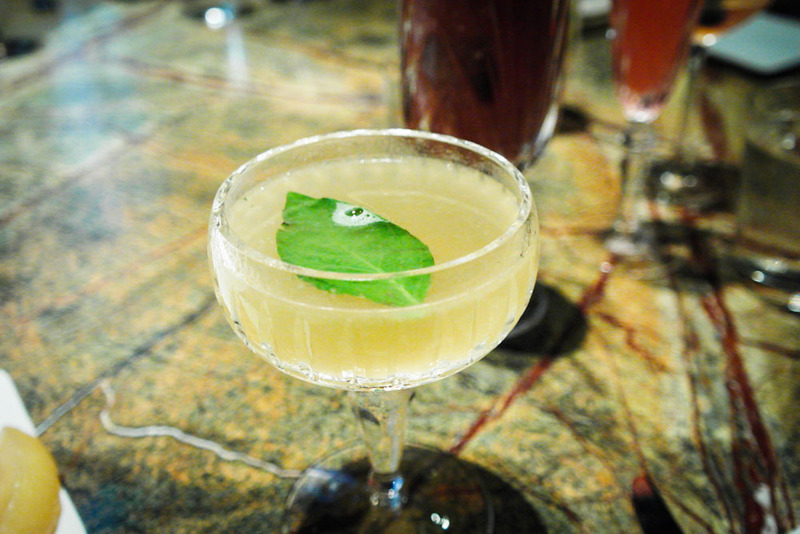 For those who live the night life, finally there is a reason to wake up early instead – Manhattan’s Sunday Cocktail Brunch. In my humble opinion, Manhattan is the perfect recovery venue to recollect what you did last night over a delicious bloody Mary, an equally delicious Brunch, and chill in the comfort of a stylish bar. Maybe with a few more drinks in the lovely lounge setting, you”ll hatch a plan for yet another party for the upcoming weekend. 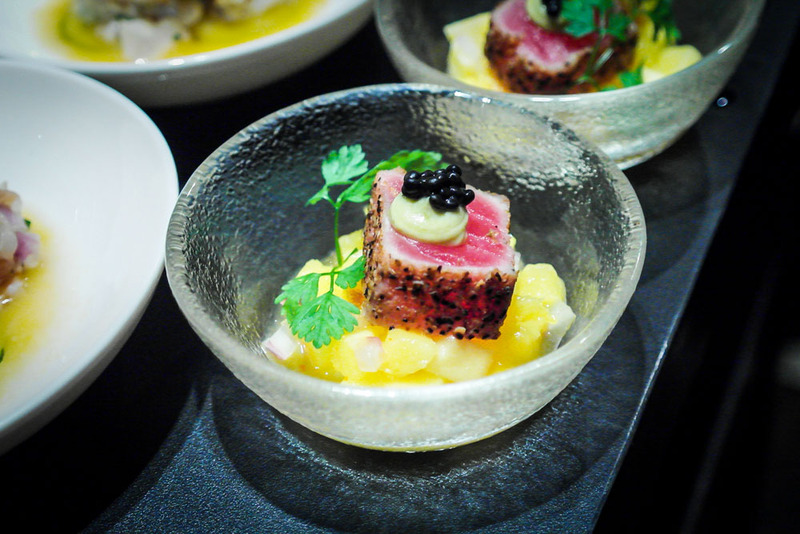 Meanwhile, we hatched a dining strategy for you at this innovative ‘adults only’ brunch concept at Manhattan. First, start off with a welcome alcoholic punch as a very nice gesture, and a gentle reminder that this brunch is strictly for the discerning grown-ups. 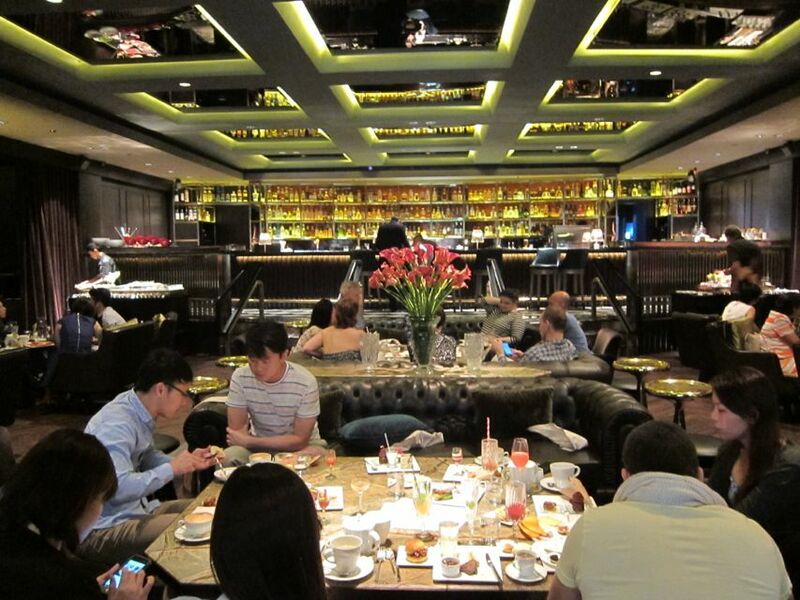 No running kids, no crying babies, no jostling with kiasu diners; this is the yuppie brunch destination that prides their food as well as their cocktails with equal importance. The casual vibe for Sunday brunch is unlike the crowded evenings where there is standing room only. 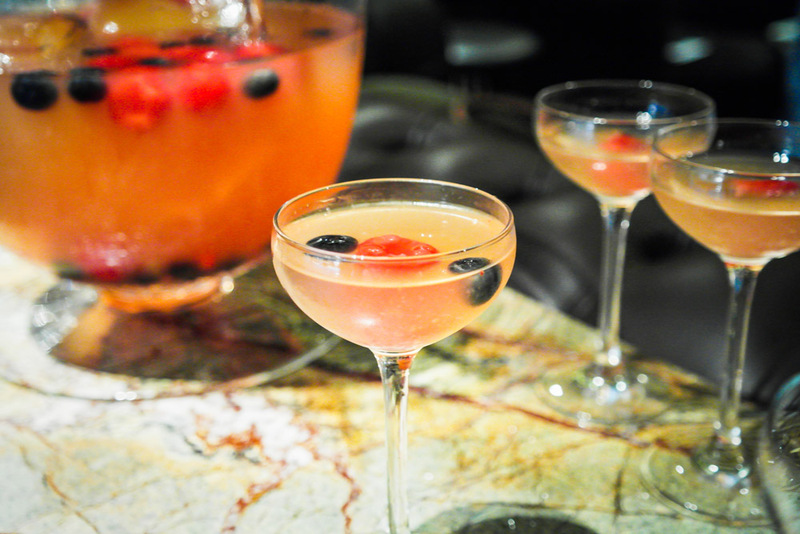 Given the premium price of this alcoholic Sunday brunch, patrons get a comfy affair to lounge and chat, with delectable offerings including Manhattan Bar’s famed cocktails, which is totally what my ideal brunch is about. Manhattan’s stylish crew also delivers impeccable service, attending to your requests with a smile. 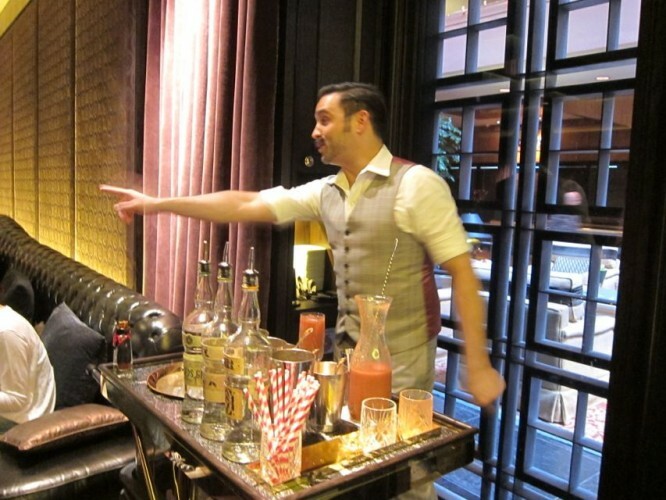 Ricky Paiva, the signature face of Manhattan Bar, uses his Willy Wonka persona as the alchemist to bring you custom concoctions of Bloody Mary cocktails that go beyond the standard – Gin, Rum or Vodka bases are all available depending on your preferred blend of poison. The candy stick straw adds to the whimsical mood when you are invited by him to step into his version of an alcoholic wonderland. My first ‘Wow’ moment for this brunch was the impressive array of condiments available to customize your Bloody Mary with. I made myself a Bak kwa, Quail egg Bloody Mary with an extra dash of Sriracha. One cannot help but marvel at this table of inspiration – it is the place to have the ultimate Bloody Mary for sure. 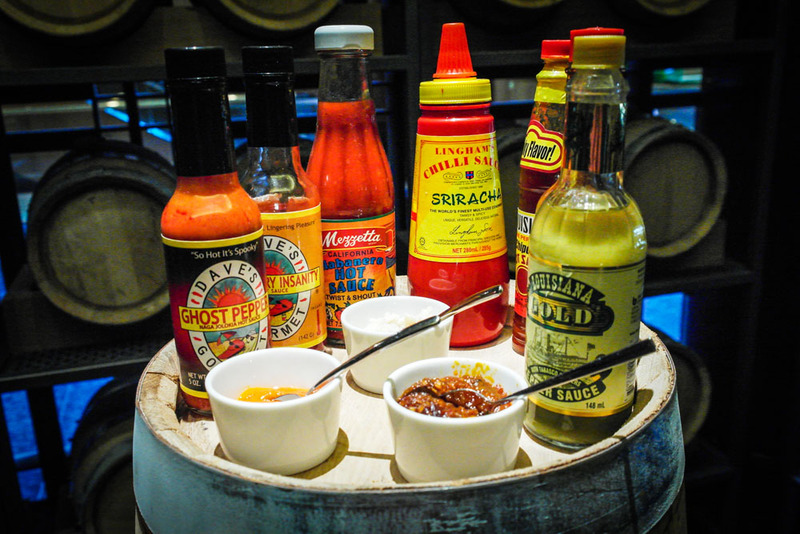 The assorted array of condiments – particularly the various type of specialty spices – Ghost pepper (one of the world’s spiciest chilis), Sriracha chilli, Tabasco, mustard oil and specially air-flown Louisana Gold Pepper sauce. These specially imported hot sauces show the little details of Ricky’s creative touch. After getting your appetite jogged with the Bloody mary, it’s time to move on to the buffet. The Seafood selection is undoubtedly fresh, with a bunch of thoughtfully bundled up lemon to squeeze the lemon without the hassle of clearing out the seeds. 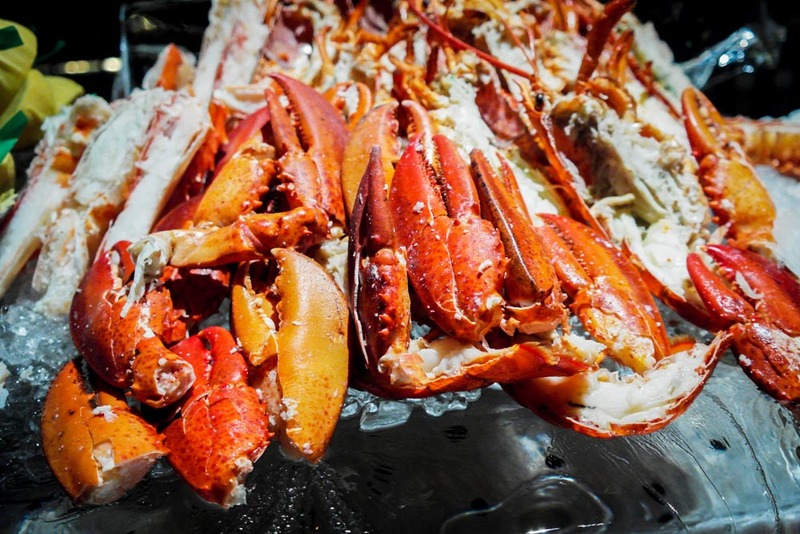 Alaskan king crabs, lobsters and even other sides like Tuna Tataki can be found in this section. 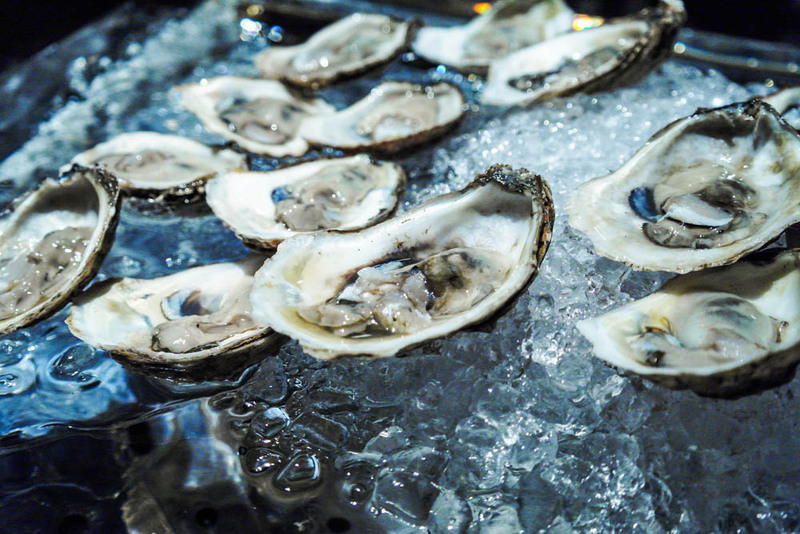 The oyster bar is full of freshly shucked oysters with a couple different varieties and a series of condiments to enjoy with a cocktail in hand. Secretly though, I was hoping for some baked oysters as well. 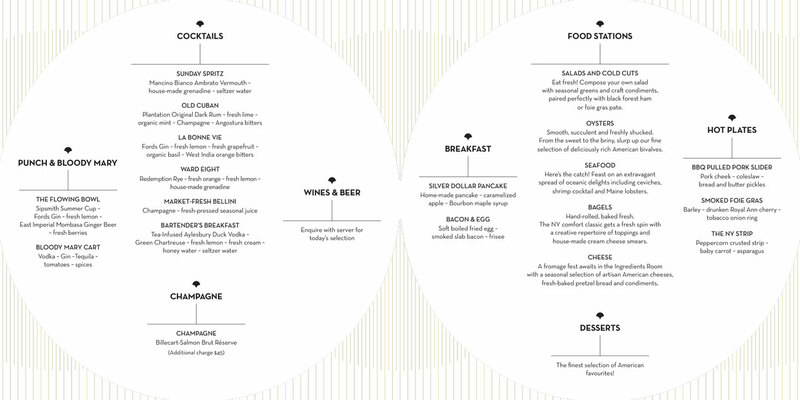 The definitive New Yorker’s breakfast: the simple bagel, has been glorified at the bagel section. 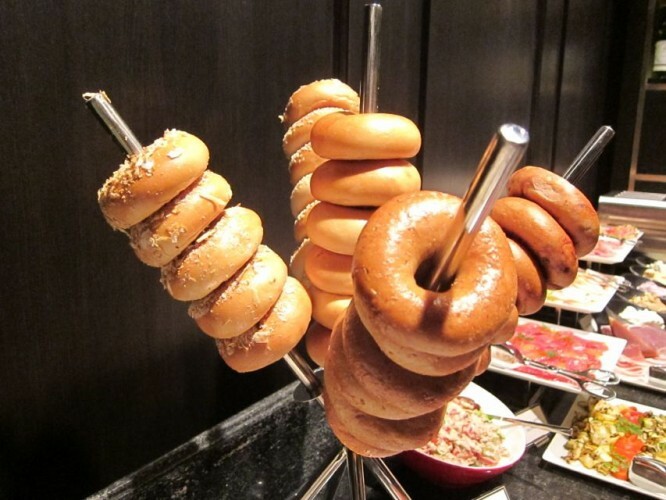 Manhattan’s bagel station in all its glory lets you choose any flavoured bagel, add stuffings and spreads like salmon or cream cheese, then toasts them for your collection later on. 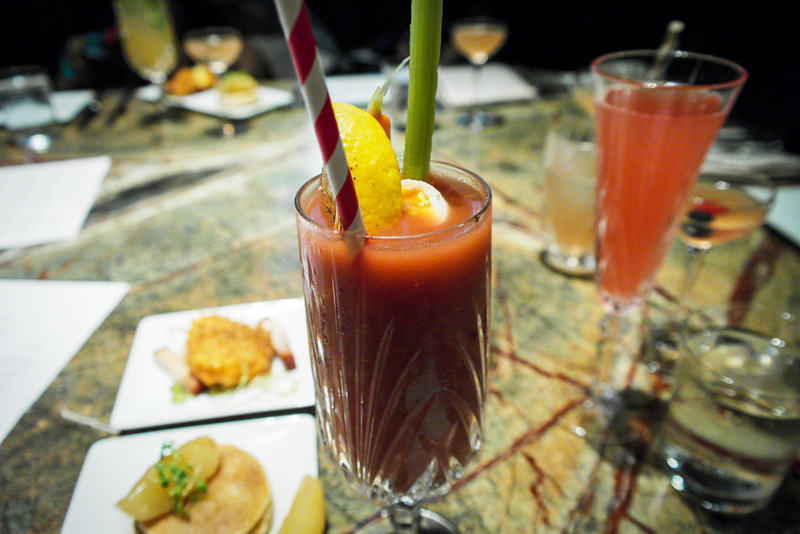 And you thought only the customizable Bloody Mary was impressive. 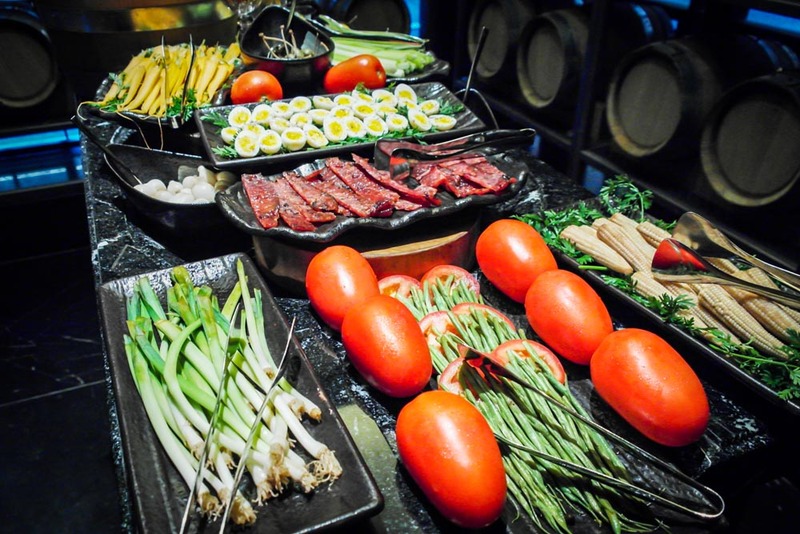 Besides having a buffet selection, the Manhattan Bar Cocktail brunch also serves tapas sized starters made a la minute, as well as more filling main courses for your perusal. This is distinctively more unique than many other brunches along with their freeflow cocktail selection. My favorite hot dish starter is the simply named Bacon & Egg which is uniquely different, yet so comforting familiar. 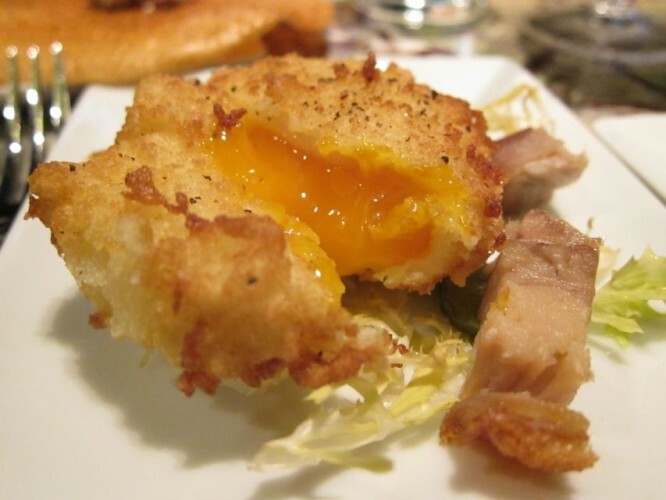 The runny poached egg is fried with batter, a bit like a scotched egg- Chef Nicholas Trosien’s take on this dish pushes the envelope of this classic pairing for me. It’s a delight to have a different interpretation of a common breakfast dish. 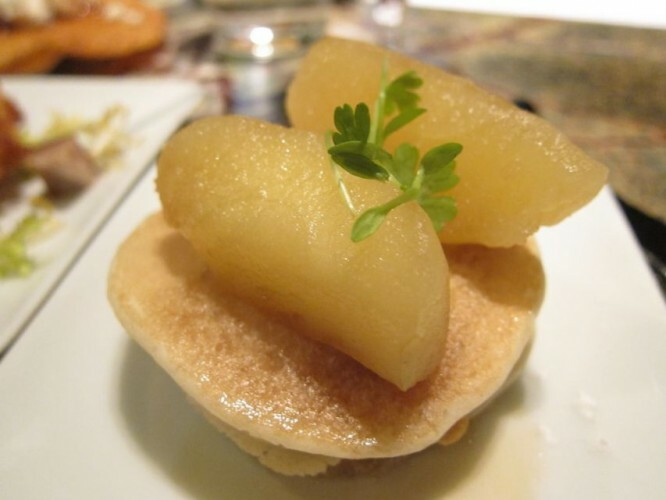 Silver Dollar Pancakes, another starting a la carte item available, is their version of a fluffy and definite people-pleaser dish – who doesn’t like caramelized apples and bourbon maple syrup? 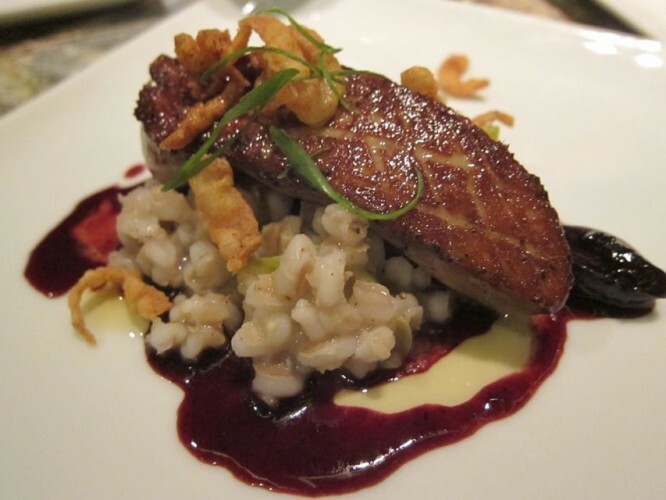 Easily the most generous serving of pan-seared Foie Gras I had for a while, masterfully pan-fried with crisp edges, atop a bed of barley salad and drizzled with compote to balance the rich foie gras with the sweetness just right for me. The richness of this particular foie gras, no doubt large in size, seemed to be lacking a little in flavour though without it’s typical umami punch. 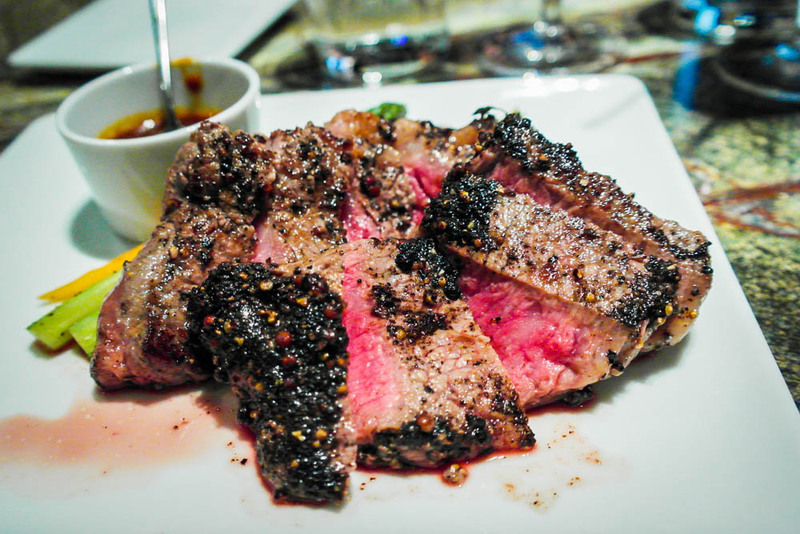 While the NY Strip looks appetizing, I find that the black peppercorn-crust may have overpowered the taste of the beef itself, which was mild and had a very short finish on the palate. Tenderness also seems to be an issue this steak is struggling with. 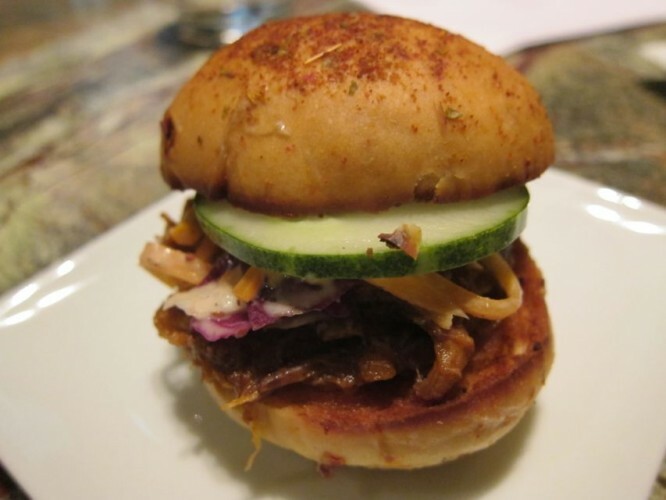 I love the BBQ Pulled Pork Slider as well, while delicious, it wasn’t the juicy, drippy variety. Might as well, I wouldn’t want a stained shirt on the way out. It is still enough to keep you wanting more. 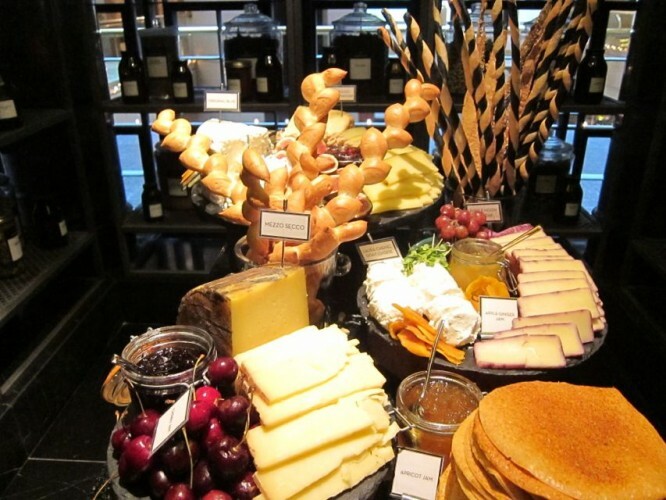 The Cheese station here is what I want my private Cheese stash to be, freshly baked bread and various pastries, carefully curated selection of artisan American cheeses – my favorite fromage is the strong Point Reyes Blue Cheese by far. 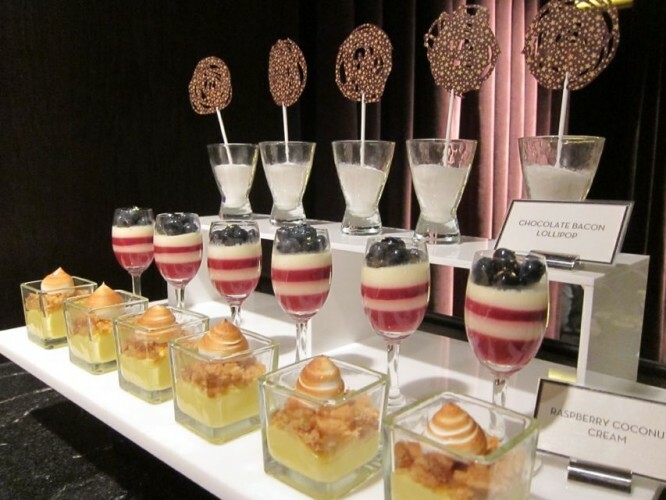 Another ‘Wow’ factor for me is yet another display of creative talent at play – the dessert selections that bring a sense of New York to Singapore. The selection of fine American inspired desserts definitely hit the spot for me (chocolate bacon, anyone?). Not only do they look good, they tasted amazing as well. 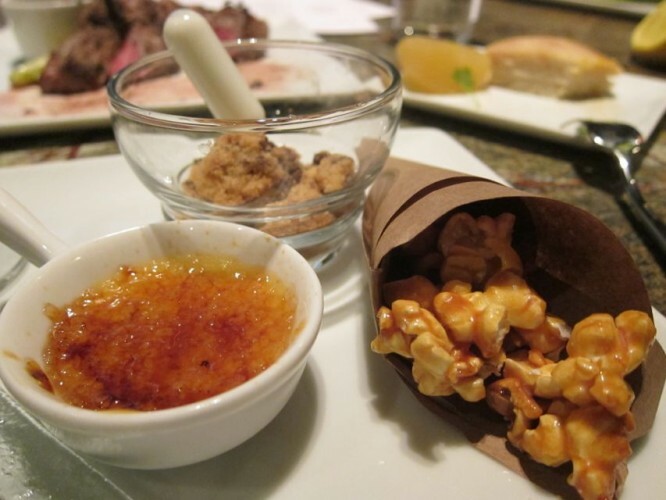 Even the desserts are adult themed, with many items being infused with alcohol. When everyone is happily spirited, you can almost imagine guests singing along to ‘New York, New York’ and holding hands. dancing in unison. 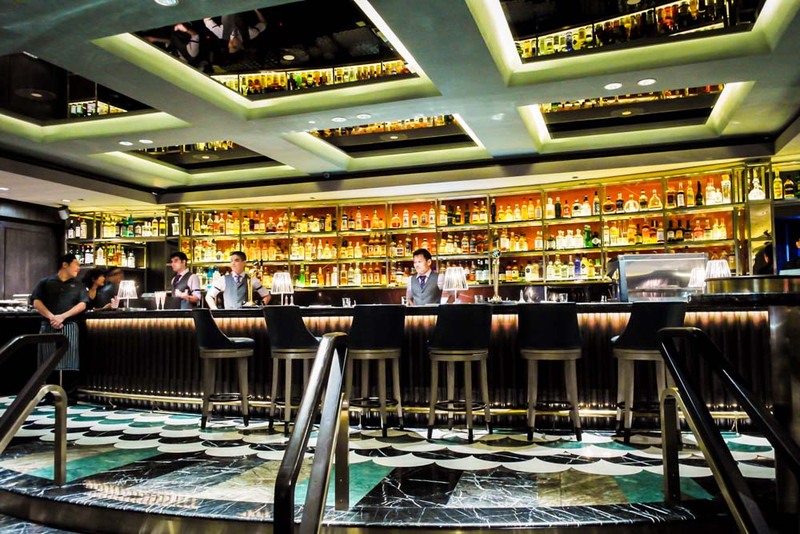 Manhattan Bar’s creative mix of alcohol, buffet and a la minute dishes has definitely lifted Singapore’s Sunday brunch scene another notch. 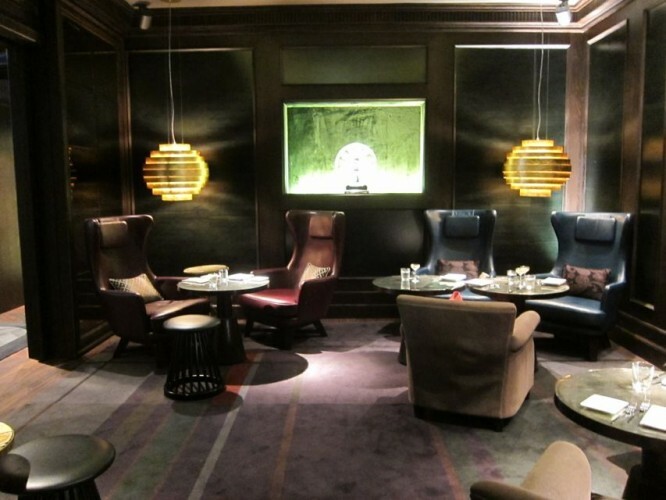 You’ll love the sophistication and lack of rowdy kids seen elsewhere.